A campaign rally in Aston, Pa.
By Lauren Carroll on Monday, January 16th, 2017 at 12:52 p.m.
By Louis Jacobson on Thursday, January 3rd, 2019 at 11:48 a.m.
During his presidential campaign, Donald Trump backed an idea from his daughter, Ivanka Trump, to provide paid maternity leave, rather than the 12 weeks of unpaid leave offered by the Family and Medical Leave Act of 1993. This idea has now advanced into legislative form, though it hasn't moved very far. Trump reiterated his pledge in his State of the Union address, and included it in his proposed budget. Then, on Aug. 1, 2018, Sen. Marco Rubio, R-Fla., introduced S. 3345, the Economic Security for New Parents Act, which would " provide paid parental leave benefits to parents following the birth or adoption of a child." Broadly speaking, the measure would let new parents borrow from their future Social Security benefits in order to pay for their child-related leave. It was based on ideas backed by Ivanka Trump, who authored an op-ed about the idea on July 11, 2018. Supporters like this approach because it is "budget-neutral" -- it doesn't require new revenue sources, such as taxes. But critics have been unimpressed. "In the long run, this could be a disaster for lower-income workers and people of color hoping to take leave," wrote Alan Barber, director of domestic policy at the liberal Center for Economic and Policy Research. "For people without retirement benefits (primarily lower-paying jobs and people of color at higher rates than whites), Social Security is often the main source of income in retirement." 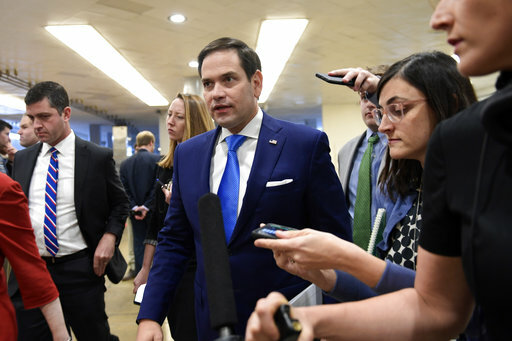 Rubio's legislation was referred to the Senate Finance Committee, a standard step for such legislation, but it did not see any other official action, and it did not attract any co-sponsors. Now that the 115th Congress is over, the legislation must be reintroduced in the new Congress. The introduction of actual legislation is a step forward, even though it's a small one. It's enough to rate this promise In the Works. By Louis Jacobson on Wednesday, December 20th, 2017 at 9:29 a.m.
As a presidential candidate, Donald Trump promised to "provide six weeks of paid maternity leave to any mother with a newborn child whose employer does not provide the benefit." The last time we checked on the progress of this pledge, in May 2017, the administration had just released a budget that called for a paid leave program rooted in the existing unemployment insurance system. The budget said the program would require states to adopt six-week paid parental leave policies, while giving the states leeway in how they administer it. Since then, however, observers of policymaking on family leave haven't seen any tangible progress on implementing the proposal. "Nothing has really been done to move the process forward since the administration put it in the budget, and the biggest problem continues to be the fact that they haven't proposed any specific, realistic guidelines for funding it," said Megan A. Sholar, a political scientist at Loyola University Chicago and author of Getting Paid While Taking Time. The most optimistic way to look at it is that the administration and lawmakers might be able to move on to the leave proposal now that the process of enacting a major tax bill is essentially complete, said Jay Zagorsky, a research scientist at the Center for Human Resource Research at Ohio State University. We'll update our rating if and when the White House produces a tangible step forward in implementing this policy. For now, we're rating it Stalled. By Lauren Carroll on Thursday, May 25th, 2017 at 3:50 p.m.
On the campaign trail, President Donald Trump promised six weeks of paid leave for new mothers. His official 2018 budget goes a step further, extending the benefit to new fathers and adoptive parents, as well. Like the plan Trump proposed in September 2016, the budget calls for a paid leave program rooted in the existing unemployment insurance system. The program would require states to adopt six-week paid parental leave policies, while giving the states leeway in how they administer it. The White House anticipates the program would cost about $18.5 billion over 10 years, according to the budget document. Financing would come from reforming unemployment insurance — including reducing fraud, helping unemployed individuals get back to work and encouraging states to maintain unemployment trust fund reserves. The budget does not specify how much money a family would receive during their paid leave period. The United States is the only industrialized nation that does not guarantee paid leave for new parents. Only 12 percent of private-sector workers have paid family leave through their employers, according to the Department of Labor. 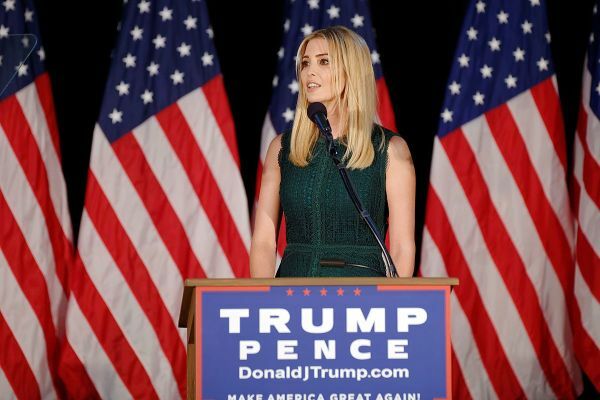 Trump's daughter, Ivanka Trump, often gets credit for encouraging her father to make paid family leave a priority. White House budget director Mick Mulvaney told reporters that he supports the paid leave program because he believes it would help the economy grow. "We try and create the environment where people are more comfortable going back to work and staying at work knowing that if they do have a child, they'll be able to spend time with that child under the paid parental leave program," he told reporters May 22. The White House budget is only a proposal. Congress would have to pass legislation for Trump's six-week paid leave plan to become reality. It could hit roadblocks among Republicans who oppose paid leave and Democrats who support a more robust program. But the document reflects Trump's policy priorities, and so we rate his promise to provide six weeks of paid maternity leave In the Works. By Lauren Carroll on Friday, January 20th, 2017 at 11:15 a.m.
Donald Trump set himself apart from other Republicans during the campaign by pledging to guarantee paid maternity leave for working mothers. "We can provide six weeks of paid maternity leave to any mother with a newborn child whose employer does not provide the benefit," he said at a campaign rally. His plan, announced in September, would give new moms six weeks of paid leave if they do not already get that benefit from their employers. It came as part of a list of several proposals designed to aid working parents. 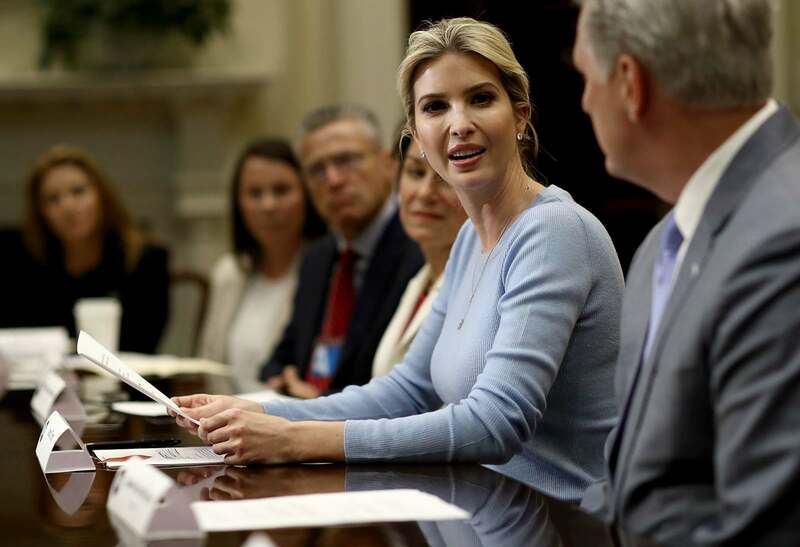 The proposal helped Trump appeal to women — particularly as his daughter, Ivanka, was a major advocate for his childcare proposals on the campaign trail. "As a mother myself, of three young children, I know how hard it is to work while raising a family," she said at the 2016 Republican National Convention. "And I also know that I'm far more fortunate than most. American families need relief." Trump says the benefit will be paid out of the existing Unemployment Insurance Fund, and his team estimates it will cost $2.5 billion annually, with an average weekly benefit of $300 to the mothers. An analysis by the Committee for a Responsible Federal Budget, a budget hawk think tank, determined that Trump's paid maternity leave program would cost about $50 billion over 10 years. Trump plans to weed out unemployment fraud so the new program won't come at any additional cost. In 2015, the Federal-State Unemployment Insurance program paid out an estimated $3.5 billion in fraudulent payments, according to the Department of Labor. Trump hasn't specified how he would eliminate fraud. To pay for his entire child care platform, he also cites his proposed "pro-growth" tax, trade and regulatory reforms. Trump is likely to face some pushback from both sides of the aisle on ideological grounds. Some Democrats and family policy advocates have criticized Trump's plan for only applying to women who give birth, not fathers or other non-traditional parents. His plan is also half of what Hillary Clinton proposed: 12 weeks paid leave. And some Republican leaders, including House Speaker Paul Ryan, are opposed to federally mandated paid leave out of concern that it would expand federal spending and create more expenses for businesses.